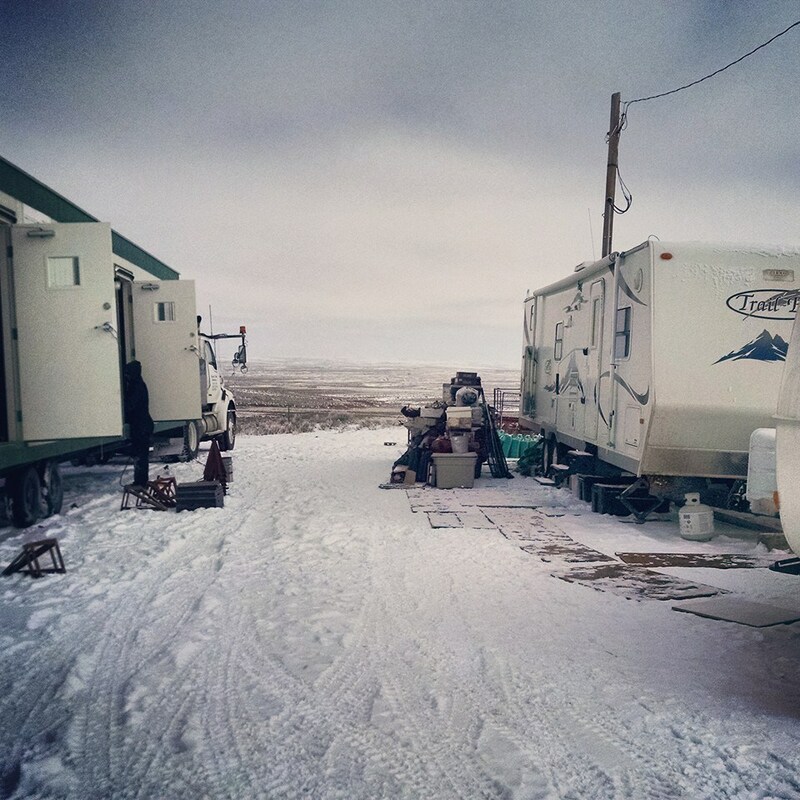 Field Notes: Ryane’s first field season at Chicken Camp! Up close they’re a lot less weird…. Office trailer on the left, “Trail Bag” on the right. When the snow melts, this is a basically a mud pit. We live pretty well at our little camp, despite Wyoming’s weather swinging from snow to 75 degrees within 24 hours. We have running water (though we have to carry it up from towns in jugs), one flushing toilet (plus two port-a-pots, all of which are cleaned out weekly), indoor heat, and a stove and oven. Once a week we get half a day off to drive to Lander, WY to refill water, take care of trash/recycling, grocery shop, hike around, and, most importantly, stop at a local hotel for our weekly shower. Most of our field tech’s mornings are spent at one of two main study leks, typically in a hunting blind on a nearby hill. From here they video tape everything that happens on the lek, note male ID and positions whenever possible – we set up a grid across the lek to make this easier – and write down any copulations that occur. One of our robotic females and her controller. One of the coolest things about my lab’s research is its use of robotics to help study behavior. 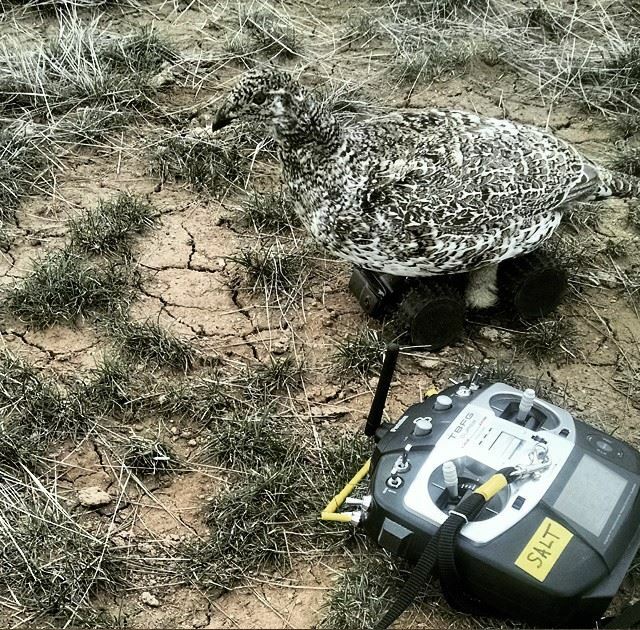 We currently have two robotic female grouse (fembots) that we use in experiments. By utilizing fembots, we are able to manipulate the social situation on the lek. Our fembots have two different behaviors we can use to interact with males: an interested, alert behavior and an uninterested, foraging behavior. If you want to see a fembot in action, there are a few videos on our lab’s YouTube channel. 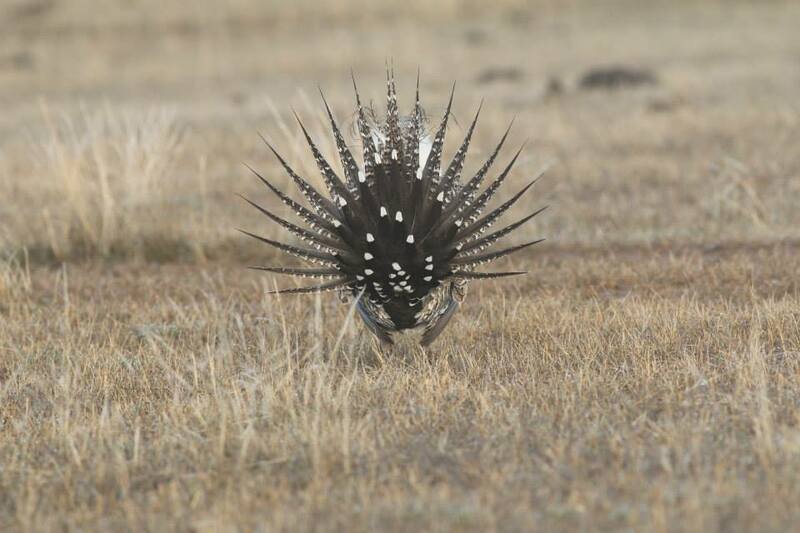 This year we conducted an experiment using both robots, asking how males make courtship investment decisions when there are two females near his territory showing different levels of interest. I’m now in the process of analyzing the data we collected and look forward to writing a future post about the fembots and my results! 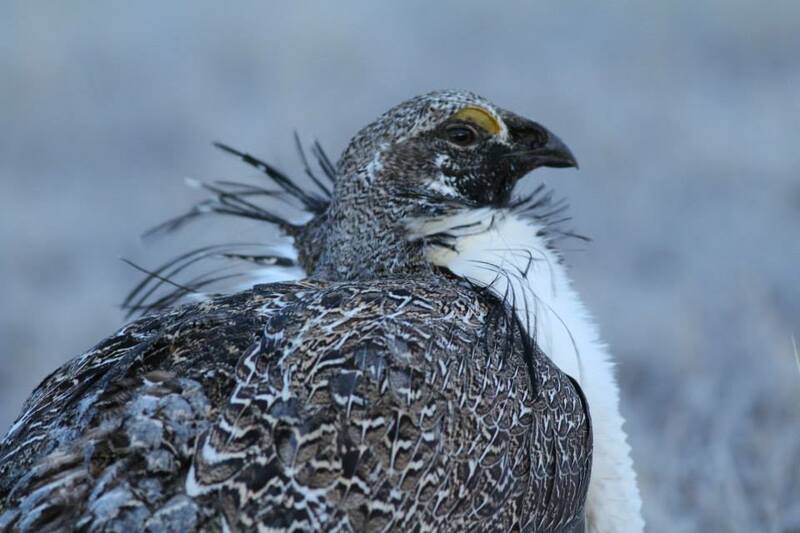 If you want to learn more about our research with the fembots and Greater sage-grouse, you can check out this PBS Nature special or read more about our field seasons here.